3.50 Brand New 89962 In stock! Order now! If you thought Quiches were bland and watery, think again! 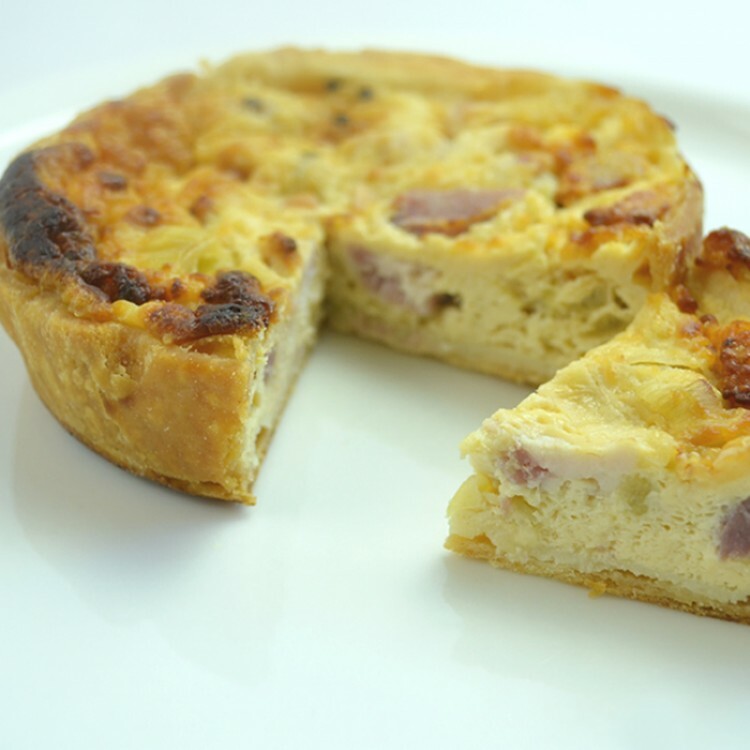 Our quiche is packed with chunky bacon and packs a punch with mature cheddar cheese. Great as a snack on it's own or make a meal of it with a salad. Gluten free flour, butter (milk) mature cheddar cheese (milk), bacon, (milk) (eggs) seasoning.